[New for 2017] Alright, time to push a review to the front of the line because a few of you have been asking me how this new "Naturally" Friendly's line is. Well, it's terrible. I'm not holding back here because there is no reason for it's terrible texture. This will be the only Naturally flavor I review this year. Yes, I really think it's that undeserving of your attention. I think Friendly's is jealous of Turkey Hill's all natural line up. Their eight flavor offering is basically a copy of Turkey Hill's (before TH's more recent additions anyway). The problem is that Friendly's threw in a bunch of stabilizers while Turkey Hill uses none. I really hope that I'm not the only who will let Friendly's know that their downgrade in texture and quality is not appreciated. It looks similar to TH except for less chips. It also scoops differently. Let's taste... and it's a gummy mess. Uggg. You know what Friendlys? [redacted] You totally missed the point of all natural. I do not like this trend of companies throwing out these so called natural or organic ice creams that are nothing like the ice cream of the old days. If you stick to the quickly melting edges, it's something akin to mint soft serve... well, rubbery mint soft serve. The texture is way more in line with Blue Bunny's Mint Cookie Crunch than it is the TH version. Look, it's not tragically bad, but it is annoying me very much. I'm so sick of "ice cream" companies thinking I want a gummy mess. Gummy is not the same as creamy. You can't fake creamy. Sure it has a longer shelf life and it's not an icy, crystal-y mess, but I don't care. This is not what I want. If you are still with me, the mint flavor is fairly constrained (aka pretty mild), so nothing crazy. Chips are fine I guess. It's pretty tame all around, just not remotely what I was expecting texture wise. On Second Scoop: I had a second scoop that was pretty annoying, but I decided to have a big third scooping before posting this review today. Like I said, this ice cream isn't tragically bad flavor wise or product wise. My immense frustration comes from a product that implies it's old school ice cream when it's anything but that. Hey, if you love the new world of gummy "ice cream", go ahead and try this mild mint ice cream. If you an old curmudgeon like me, just keep on walking. I agree. 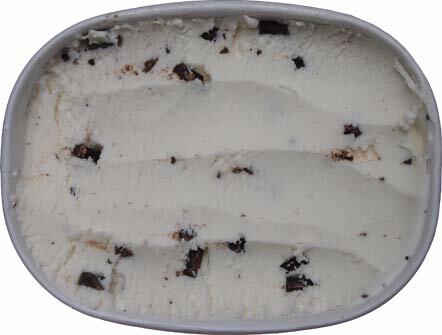 I tried the Vanilla and Chocolate and the flavor was very weak in comparison to the Turkey Hill Natural line. I also did not like the texture of this ice cream. There is no reason to buy this when the Turkey Hill is so much better. Sadly none will ever match the Breyers of yesteryear! The core Friendly ice cream products are superior in taste and texture and half the price. Having tasted two of the "new natural" flavors, there is no comparison to the standard product line. I am only happy that our local supermarket was featuring Friendly's all Natural flavors at the same price as the regular Friendly brand this week. The extra $$$$ for the Natural brand is totally out of line with all the other products and brands available on the shelf. 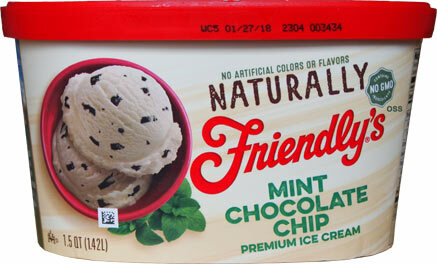 I'm eating a bowl of Friendly's NATURALLY (Not all-natural) Mint Chocolate Chip as I type this. It certainly is NOT "gummy". 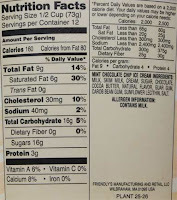 It has a thicker feel due to the high fat content of the NATURAL MILK ingredients. The mint flavor isn't overpowering; I wouldn't consider this a true mint, more like a mint-tease. 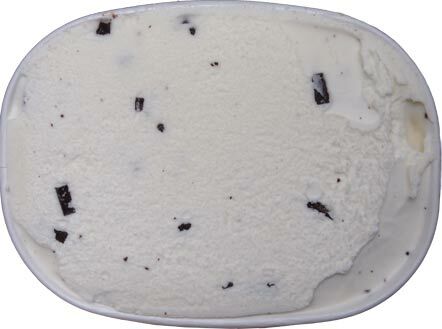 The vanilla is incredibly smooth and creamy, which is what Ice Cream is supposed to be. Turkey Hill, in comparison, is more like frozen liquid milk, which melts especially fast and tastes like processed chocolate and imitation mint. You need to get your taste buds check out, buddy. Either that or check the expiration date or your freezer which may not be working well. 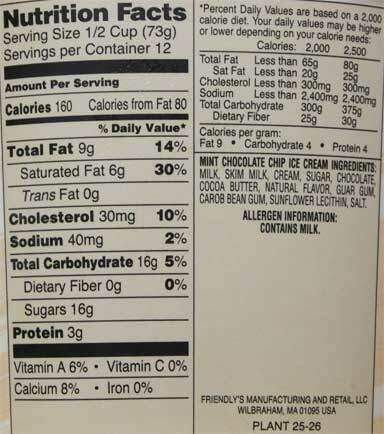 My Friendly's NATURALLY Mint Chocolate Chip tastes pretty damned amazing. Don't pass up on this in case you read this review which is completely off. @last-anon: this products has three different gums stabilizing it while Turkey Hill has zero. If you like that kind of thing, have at it. I specifically say that in the review. No reason for you to be a jerk about it. In my opinion, this product line is horrible and will most likely live a short and sad life. Having reviewed 1400 frozen products and watched so many of them fade away, my analysis is probably pretty reliable. While the package does say "naturally" and not "all natural:, Friendly's heavily implies they are all natural without ever using the phrase "all natural". Instead they say "The flavors are created using only the finest, uniquely sourced ingredients from natural sources". Toe-may-toe Tah-mah-toe. P.S. yes the review title was wrong, I had put "friendly's all natural" there as a place holder but forgot to correct it upon publishing the post. Let me get this straight: If I don't agree with you and say your review is wrong, I'm a jerk? LOL. Listen, you like Turkey Hill and you have an obvious bias. Tastes good. The mint is mild and it should be, and there could be more chocolate chips. Just because you've reviewed 1400 products doesn't mean a thing (and I think you're exaggerating, by the way). You could have been right on half of them, or none of them. Your opinion isn't fact, it's just an opinion. You're obviously a huge fan of Turkey Hill. You shouldn't skew you reviews just because you like them better. I'd post a picture as proof of me eating it again, but you wouldn't believe me anyway. Either way, don't call people who don't agree with you Jerks. It makes you look like one yourself, which I don't think you are. Just a little angry or something. Hope you work that out, buddy. "You need to get your taste buds check out, buddy." unless there is an emoji at the end of that sentence to denote a joke, it's unfriendly. you are welcome to count the over nine years of reviews that can be found on this site. Over 300 of them cover discontinued products. yes I like turkey hill and have since I was little. no company is perfect, but their all natural line up reminds me of my youth. compare that to companies like Breyers and Friendlys and Edys who are using food science to keep down production costs. Luckily for them, there is enough consumer base out there who keeps buying the same brands that they always do, regardless of changes. You are not alone in enjoying these "creamier" flavors, but you need to realize that there are plenty of us who do not appreciate them. and one final note: did I ever say that I didn't believe you enjoyed your ice cream? Nope, I did not. I said the opposite. I told you to "have at it" which is a snarky way to say "enjoy it as you want". Boasting about your "9 years of reviews" and "over 300 of them discontinued" doesn't mean you can't be wrong. Which you are, on the case of name calling (don't call people jerks) and having a personal vendetta against Friendly's. Also, these are getting dumped by stores all over the place. If you like it, better stock up. Also, Friendly's ice cream (now owned by Dean Foods) is a shadow of it's former greatness. Don't blame me that you can't see that.